Having your instrument in tune is essential to have a good sounding ukulele. 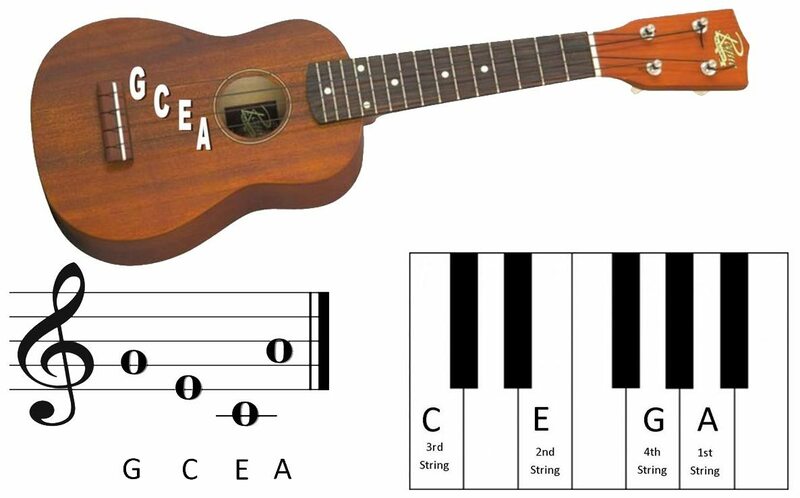 The strings on a ukulele are counted from the top to the bottom, so the first string (string 1) is the top string and string 4 is the bottom string. Every string is indicated by a letter, corresponding to the note the open string plays. You can memorize the sequence GCEA by the clever mnemonic device “Good Cooks Eat A lot”. Tuning is done tightening or loosening the tuning keys (tuners) to obtain the correct pitch for each string. An electronic tuner, also called a chromatic tuner, is a very easy and straight forward way of tuning your ukulele. This device will listen for the pitch when a sting is played and indicate if the tone is too high or low, so you can turn the tuning keys accordingly to get the right pitch. The Fender FT-004 & the Snark SN6 are some excellent choices. 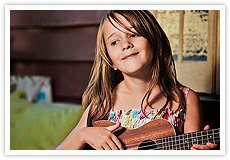 You can find tools online that will help you tune your ukulele. A good example is the ons from ukebuddy.com. A lot of free simple tuning apps are available for iPhone & Android, surely the best app for tuning is the Tuner – DaTuner Pro Chromatic Tuner app, which is extremely accurate and has all the functions of an electric/chromatic tuner. Manual tuning can be done with the help of a second (tuned) instrument like a guitar or a piano. To do this you have to play the corresponding note on the piano/guitar and tune your ukulele accordingly. 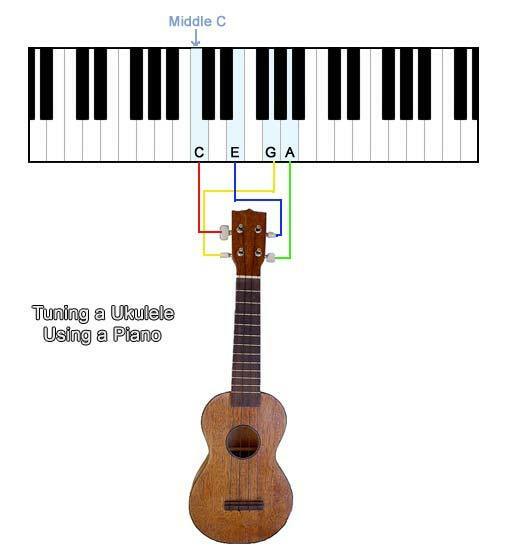 The image below shows the corresponding piano keys for the four strings of the ukulele. When your ukulele is in tune you can start playing some ukulele songs!